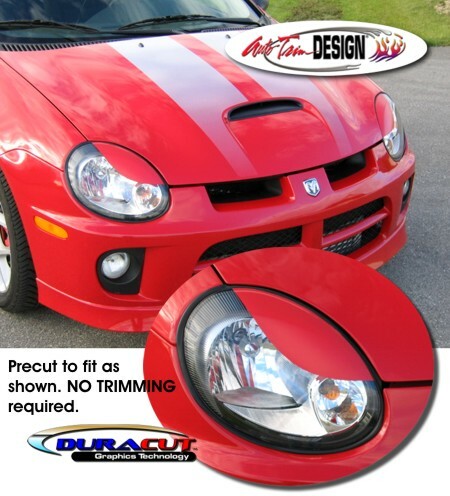 Give your 2000-2005 Dodge Neon or SRT-4 a different look with these precut "Eyelid" decals (no trimming required). Decal set comes with two (2) lid decals (one for each side). Available in a wide variety of colors. They're very easy to install and include easy-to-follow online instructions. Get yours today! Note: Some colors may be translucent when lights are on. If you desire a "solid" look with no light shining through, we recommend installing a set of "Eyelids" in Black prior to the color you desire.